Google has started pushing out the Android 4.4.3 update for its Nexus devices as well as its Google Play Edition smartphones. The Samsung Galaxy S4 GE (GT-I9505G), HTC One M7 GE, HTC One M8 GE and Sony’s Z Ultra GE have already started getting the update over the air (OTA). The roll out as always will be in parts so if you are a proud owner of any Google Play Edition device, then you might start checking for the updates via the settings menu. 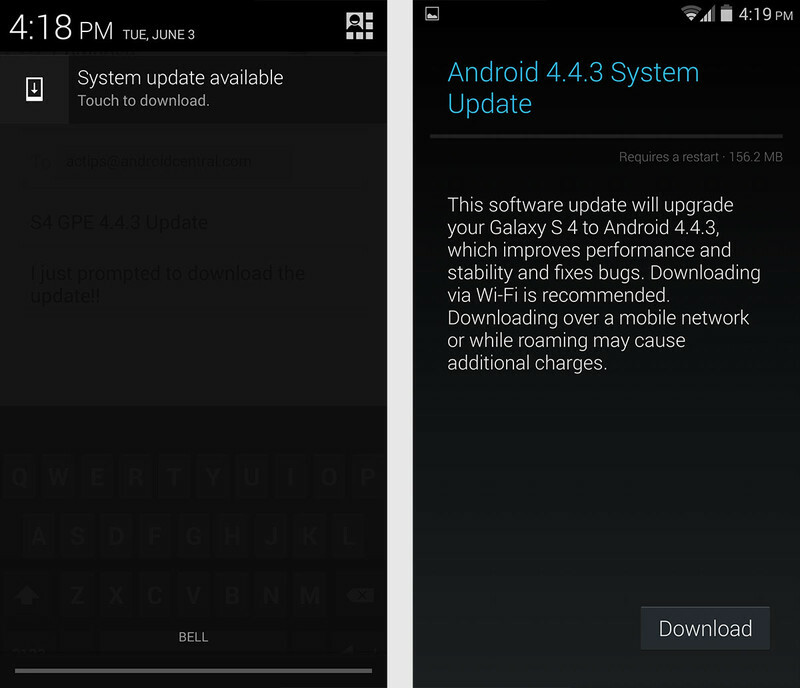 The Android 4.4.3 update is mainly for performance improvement and bug fixes. The main issue which it deals with is the massive battery drain, when using the camera. This was one major issue which alot of users were experiencing, and thankfully Google listened to those cries and sorted the issue. On the UI front you get a new dialer and peoples app. 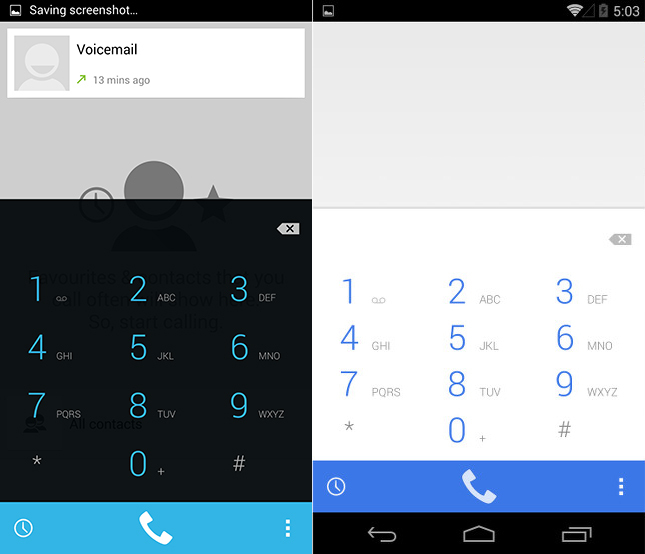 The new look of the dialer with a white background and light blue keys compliment the overall white KitKat theme. According to sources, the 4.4.3 update will come to standard smartphones as well, but that will take long because each OEM has to modify the OS as per their own UI theme respectively. The Samsung Galaxy S5 and the Galaxy S4 LTE-A are already being tested by Samsung for the update as the LTE-A variant of the Galaxy S4 never got the KitKat update in the first place, so Samsung are most probably jumping from Android 4.3 to Android 4.4.3 directly. The updates might not be as far away as expected though considering Google I/O 2014 is just around the corner and Google is most likely going to introduce its new OS Android 4.5/5 codenamed Lollipop.